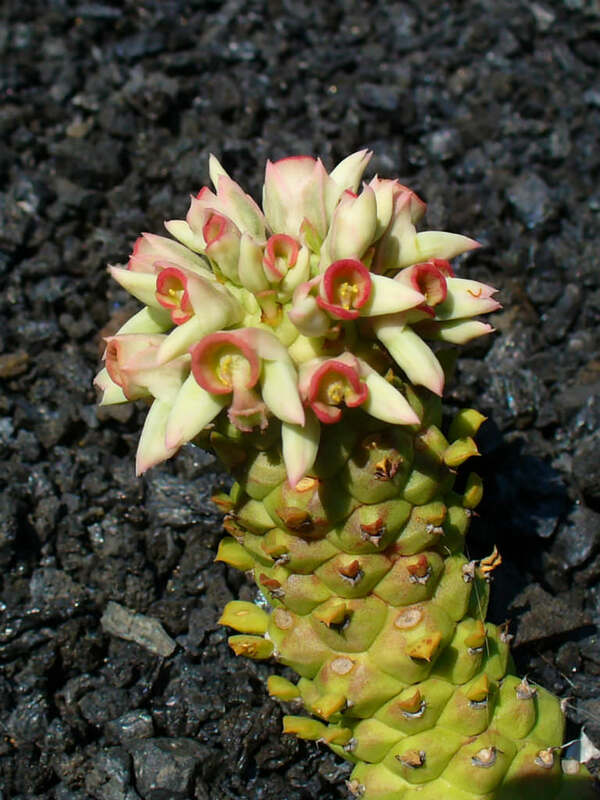 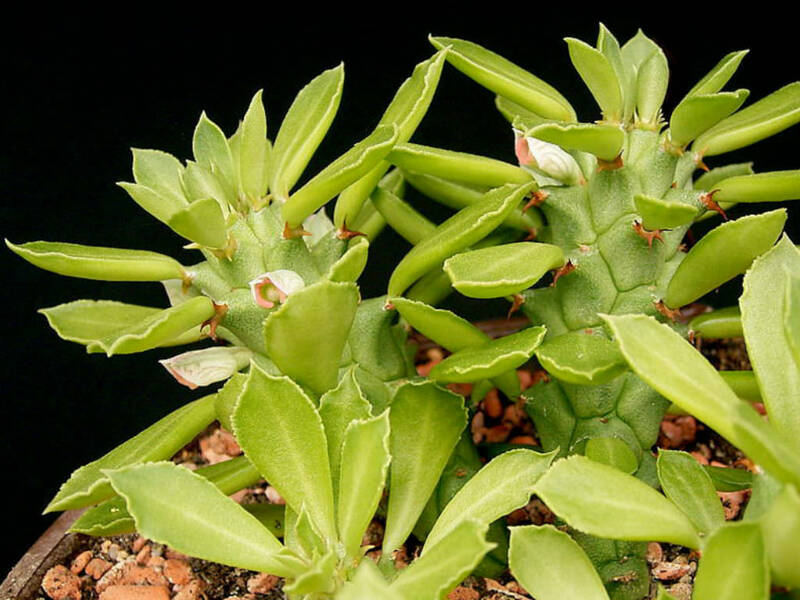 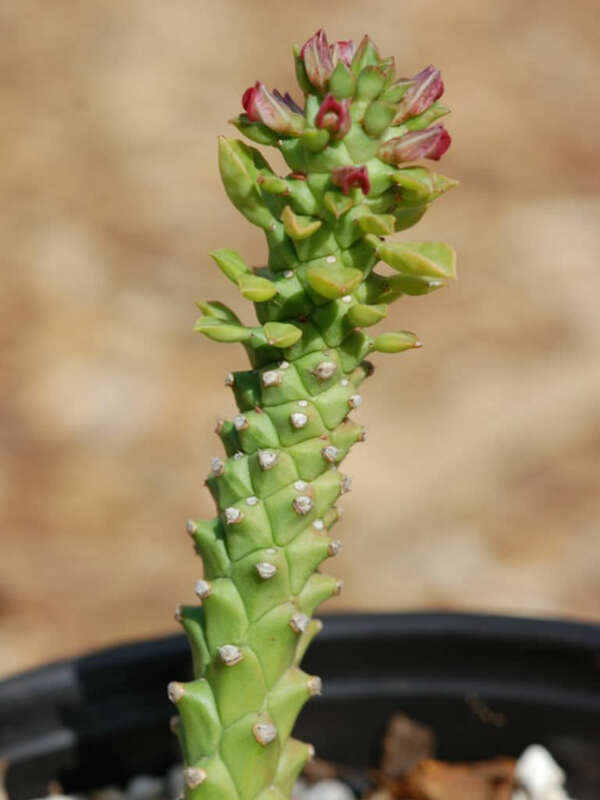 Euphorbia guentheri is a stout, perennial succulent with long, cylindrical stems with prominent spine-tipped tubercles and fleshy, sickle-shaped, deciduous leaves. 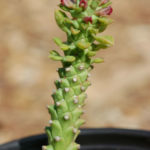 The stems are unbranched, up to 3 feet (90 cm) long and up to 0.4 inches (2 cm) in diameter. 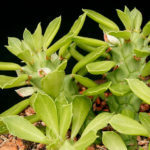 The leaves are fleshy, up to 3.2 inches (8 cm) long and up to 0.7 inch (1.8 cm) wide. 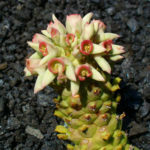 The flowers are small with a red, rim-like gland and enclosed in 2 fused, greenish-white bracts with lovely, purple mottling. 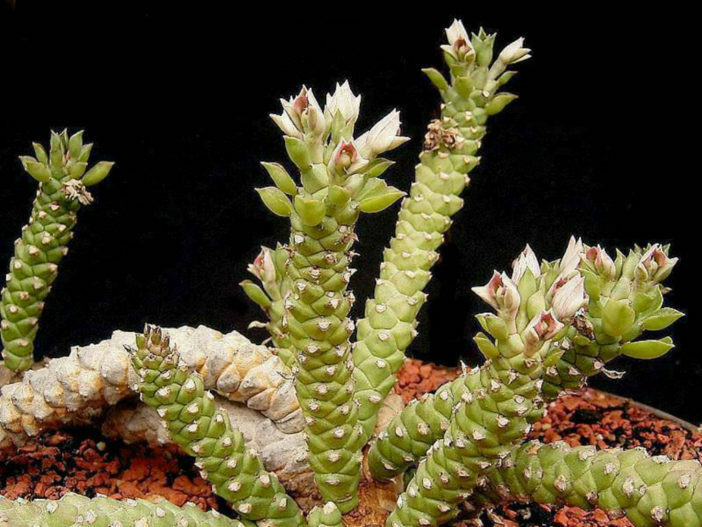 It is native to Kenya.